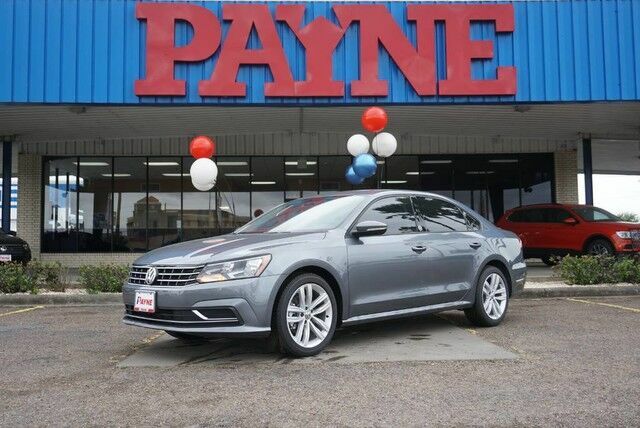 This outstanding example of a 2019 Volkswagen Passat 2.0T Wolfsburg Edition is offered by Payne Brownsville Volkswagen. Why spend more money than you have to? This Volkswagen Passat will help you keep the extra money you'd normally spend on gas. The Volkswagen Passat 2.0T Wolfsburg Edition will provide you with everything you have always wanted in a car -- Quality, Reliability, and Character. Beautiful color combination with Platinum Gray Metallic exterior over Titan Black interior making this the one to own! This is the one. Just what you've been looking for.